Thomas Cole’s Refrain: The Paintings of Catskill Creek will open on May 4 in collaboration with Cornell University Press and the Hudson River Museum, with related programming in partnership with Scenic Hudson and Greene Land Trust. The exhibition, curated by H. Daniel Peck, John Guy Vassar, Jr., Professor Emeritus of English at Vassar College, reveals new scholarship on Thomas Cole, scholarship explored in Professor Peck’s forthcoming book of the same title, published with Cornell University Press. Created during the eighteen-year period between 1827 and 1845, which spans Thomas Cole’s mature career, the artist's completed paintings of Catskill Creek constitute the most sustained sequence of landscape paintings he ever made. 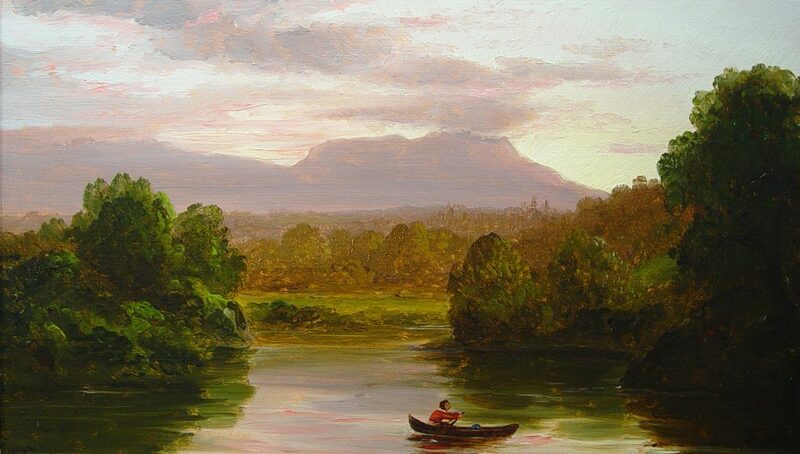 The views in the paintings were all anchored along one short stretch of Catskill Creek near the Village of Catskill, where Thomas Cole lived and worked. The exhibition considers these paintings as a series for the first time, unified by place as well as their stable composition and recurring motifs, even as they exhibit variations reflecting the changes in the artist’s life and times. Cole’s repeated attention to the landscape of Catskill Creek signifies his deep attachment to it, and illustrates his development of a profound sense of place. Cole’s view of the Catskill Mountains that frames Catskill Creek can still be enjoyed from the porch of the Main House at the Thomas Cole National Historic Site today. "The exhibition tells the story of Cole’s discovery of Catskill Creek, with its Catskill Mountain background, and his ever deepening attachment to it over the course of eighteen years. The paintings contain mysteries— enigmatic figures, evocative human structures, and symbolic landforms – that tell stories of their own," notes H. Daniel Peck, Exhibition Curator and John Guy Vassar, Jr., Professor Emeritus of English at Vassar College. "This is a unique opportunity to immerse yourself in Cole’s stunning paintings of Catskill Creek and to visit the very place along Catskill Creek that Cole fell in love with nearly 200 years ago. The stretch of land depicted in the paintings has been preserved as a public park that is located just a few miles from the historic site," said Elizabeth Jacks, Executive Director of the Thomas Cole National Historic Site. The exhibition follows Cole’s Catskill Creek paintings from the 1820s through the 1840s--almost the full course of his career--and includes twelve original oil paintings by the artist. 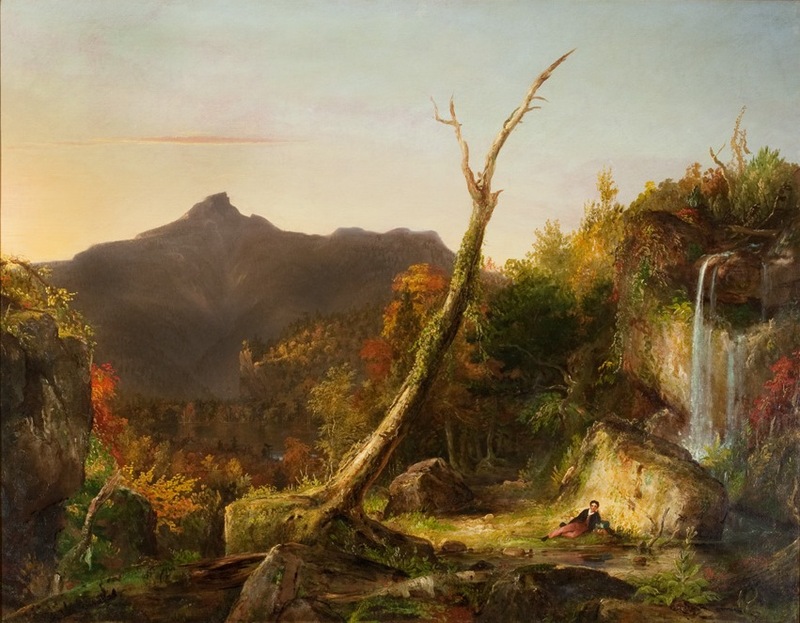 Represented, as well, are paintings of the Catskill Creek scene by leading nineteenth-century artists who were inspired by Cole: Asher B. Durand, Frederic Edwin Church, and Charles Herbert Moore. as well as major works from the collections of the New-York Historical Society, Yale University Art Gallery, The National Gallery of Art, Albany Institute of History and Art, Olana State Historic Site, the Frances Lehman Loeb Art Center at Vassar College, Detroit Institute of Arts, and The Currier Museum of Art. Thomas Cole’s Refrain: The Paintings of Catskill Creek will be presented in the Thomas Cole Site’s reconstructed “New Studio,” a building designed by Thomas Cole at his home in Catskill, New York. After the debut at the Thomas Cole National Historic Site, the exhibition will travel to the Hudson River Museum in Yonkers, New York, where it will be on view from November 21, 2019, to February 28, 2020. The exhibition will be accompanied by a 186-page publication written by H. Daniel Peck, John Guy Vassar, Jr., Professor Emeritus of English at Vassar College, with forewords by Elizabeth Jacks, Executive Director of the Thomas Cole National Historic Site, and Masha Turchinsky, Director of the Hudson River Museum. Thomas Cole’s Refrain: The Paintings of Catskill Creek will be published by Cornell University Press. With new scholarship and interpretations of both Cole’s major and little-known works, the publication will also feature maps identifying the locations where Cole sketched. Professor Peck is the author of books about writers Henry David Thoreau and James Fenimore Cooper, and has published on painters Asher B. Durand and Georgia O’Keeffe. His work on this project was supported by an Andrew W. Mellon Emeritus Fellowship. The recipient of several NEH and ACLS fellowships, Professor Peck has chaired the Modern Language Association’s Division on Nineteenth-Century American Literature, and has served as director of Vassar College’s American Studies Program.